Despite being a beauty blogger and lover of all things makeup, I actually hate painting my nails. This is mainly because I'm impatient, hate waiting for nail polish to dry and when I think it's dry, I'll go to bed, only to find when I wake up the next morning that there are imprints all over my nails. Not cute. I also hate the fact that I go through all the effort of painting/waiting around for my nails, only to find they chip after a couple of days. After dealing with the farce that is doing my nails for the past 20 or so years, I decided it was time to change things up, save time and give my nails a better, stronger finish with the help of gel polish. I went to the salon a few times to have them done by a professional, then decided I'd buy a lamp and have a go at DIYing them. The only thing was, I couldn't find any decent gel polishes - until Candy Coat came along. I hadn't heard of Candy Coat until recently, but as soon as I landed on their website and social media I was in love. 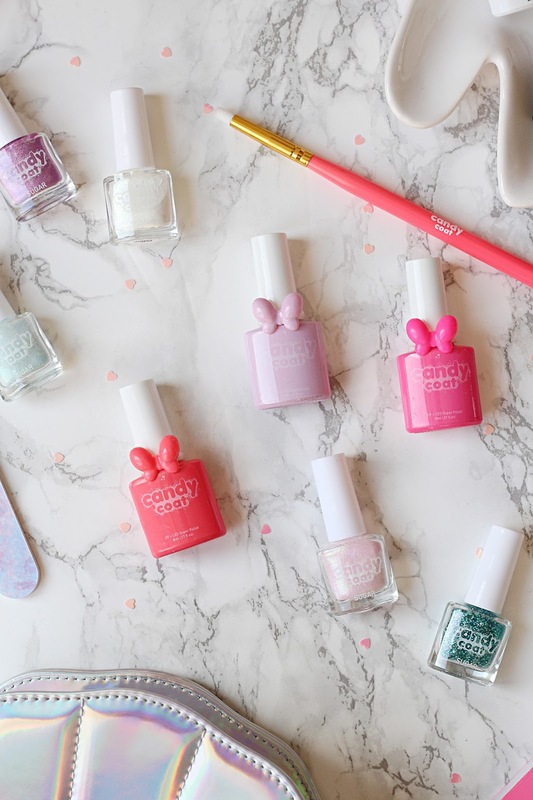 They're everything I love in a brand - super girly and fun, with a similar vibe to the likes of Skinny Dip London and Spectrum Collections. They were generous enough to send me over a big bundle of nail goodies, including gel polishes and some incredible glitters, and even the box my bits came in was covered in unicorns, rainbows, bows and glitter hearts. 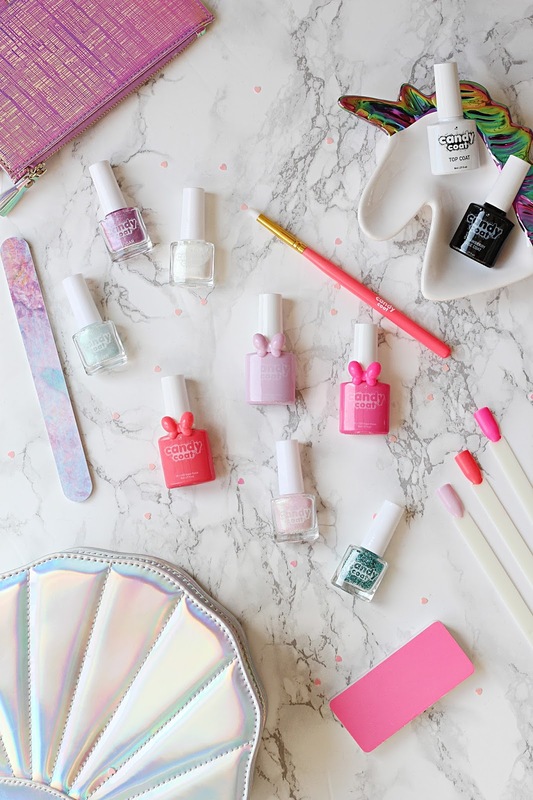 Do you do your own gel nails? Let me know if you've tried Candy Coat before!